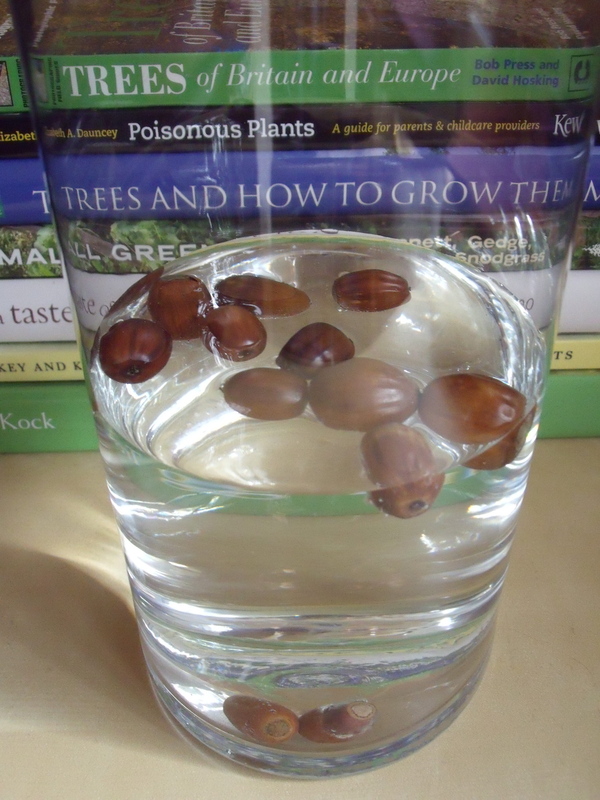 Throw a handful of acorns into a jar of water, discard the floaters and plant the ones that sink. And now for the science: Acorns are prone to drying out which reduces their ability to grow into seedlings. Dried acorns have more air inside them and hence are more likely to float. It’s not a completely foolproof test but worth trying if you were a bit too enthusiastic with the acorn collecting. Categories: experiments, trees | Permalink.